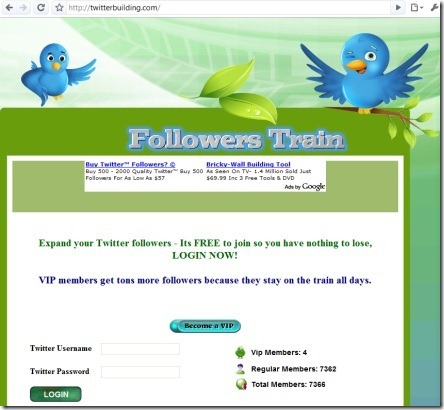 Twitterbuilding (dot com) is a web site that promises a few Twitter features. It’s a fake site. It steals people’s Twitter account details. Do not use the Twitterbuilding site.